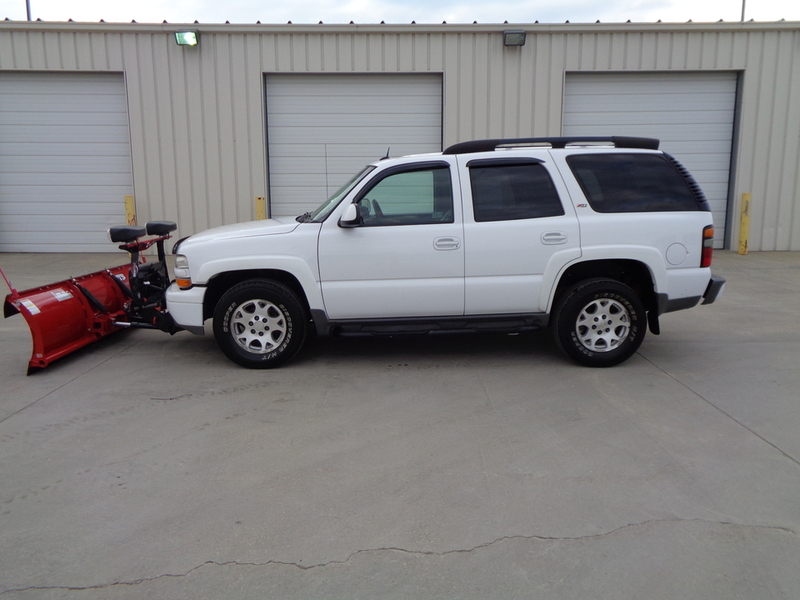 Check out this 2005 white Chevy Tahoe Z71 4x4 SUV with its attached 7'6" Western snow plow. Its 5.3L V8 Vortec engine has 252,810 miles on it, but is in great shape for the age and miles on the vehicle. We are asking $7950 for the vehicle with the attached snow plow. This SUV won't be around long at this price. tt still has a lot of life left in it. It is fully loaded with full power accessories. Power windows, power door locks, power seats, heated front bucket 2 power memory seats, 2nd row bucket seats, 3rd row split bench seats make the inside of this unit so comfortable for all passengers. Its factory carpeted floor mats match the decor as well. Check out all of the options available on this truck on our website at www.autodriveinc.com. To schedule a test drive, or for any other questions, you can call us at 515-955-3399. We are open Monday through Friday from 9-6, and Saturday from 9-3. You can also stop by to see the vehicle in person at AutoDrive Inc., 2944 5th Avenue South, Fort Dodge, IA 50501. We will consider anything for trade, and can possibly assist you in gaining financing with our local lenders. Don't forget to like us on Facebook.